ABOUT: Nila Holden is a small artisan bakery, specialising in vintage and bohemian inspired cookies & gifts, which are all made by hand. These beautiful products are stocked by prestigious places such as Fortnum & Mason. 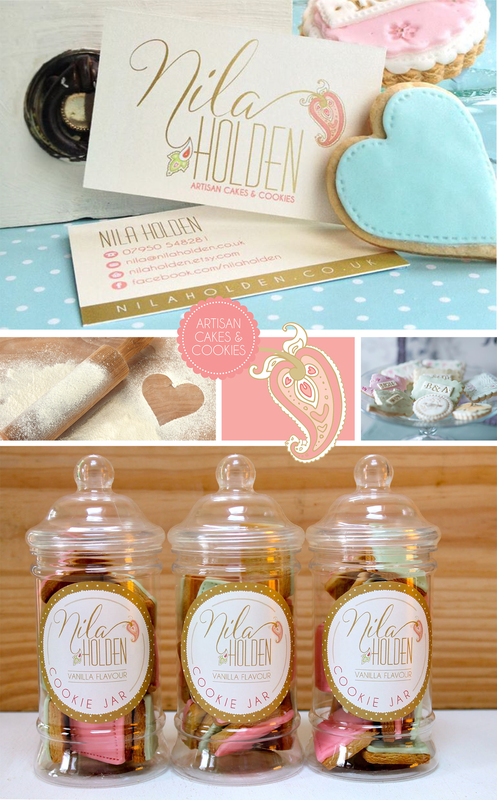 Nila Holden approached Paperknots for help in creating a new brand for this gorgeous artisan cookie business. The main objective for Nila was that the look of her unique and inspiring creations would shine through in her brand as well as some of her own heritage. A gold script font for Nila’s name added a personal touch to the logo, with a bold modern font for her surname. 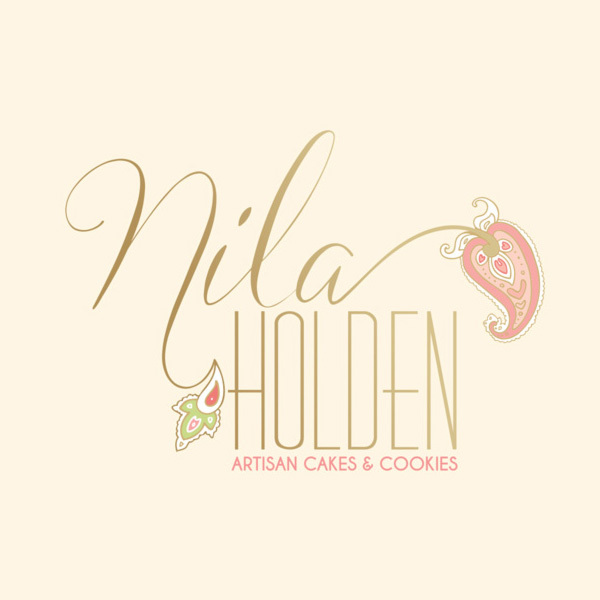 The calligraphy style writing of Nila’s name swirls into delicate, decorative patterns, similar to those detailed on the cookies and also reflecting her Indian heritage. Soft pinks with bright highlights and pastel greens fill these shapes, helping to lift the logo from the page. After the initial brand was created and well received by Nila and her customers, Paperknots has gone on to design packaging and marketing material, so that the brand is consistent throughout.